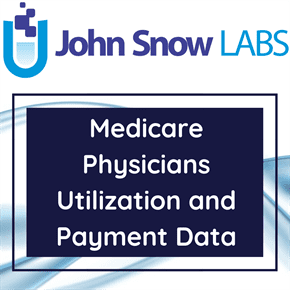 The dataset contains information on average utilization and payments (submitted charges, Medicare allowed amount, Medicare Payment amount, Medicare standardized payment amount) on Healthcare Common Procedure Coding System (HCPCS) codes on the state level. This Public Use File is based on information from Centers for Medicare and Medicaid Services administrative claims data for Medicare beneficiaries enrolled in the fee-for-service program available from the CMS Chronic Condition Data Warehouse. The data in the Physician and Other Supplier PUF covers the calendar year 2012 to 2015 and contains 100% final-action physician/supplier Part B non-institutional line items for the Medicare fee-for-service population. Each year, in the United States, health care insurers process over 5 billion claims for payment. The Healthcare Common Procedure Coding System (HCPCS) code is a standardized coding system that helps Medicare and other health insurance programs ensure the claims are processed in an orderly and consistent manner. The HCPCS Level II Code Set is one of the standard code sets used for this purpose. The HCPCS is divided into two principal subsystems, referred to as level I and level II of the HCPCS. Level I of the HCPCS is comprised of CPT (Current Procedural Terminology), a numeric coding system maintained by the American Medical Association (AMA). The CPT, on the other hand, is a uniform coding system consisting of descriptive terms and identifying codes that are used primarily to identify medical services and procedures furnished by physicians and other healthcare professionals. Level II of the HCPCS is a standardized coding system that is used primarily to identify products, supplies, and services not included in the CPT codes, such as ambulance services and durable medical equipment, prosthetics, orthotics, and supplies (DMEPOS) when used outside a physician’s office. The Physician and Other Supplier PUF and the supplemental summary tables including the “Medicare State/National HCPCS Aggregate Tables” have been updated to include Medicare standardized payment amounts.